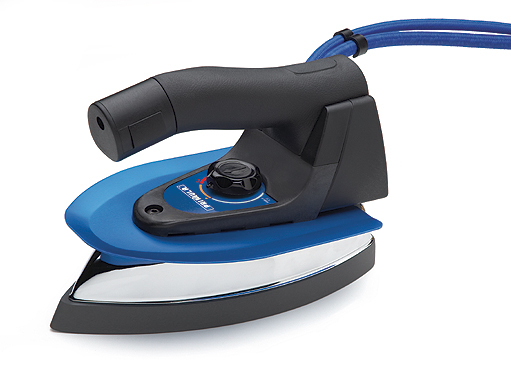 Professional steam iron with thermostat. Professional steam iron with thermostat. With aluminum protector, anatomic riton handle and ergonomic switch (button) for steam production.